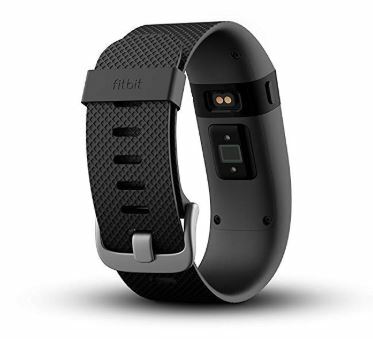 Back in February 2014, when users reported that the Fitbit’s device was causing rashes, it recalled its Force line of fitness bands. Now, with the Charge, Charge HR, and Surge, Fitbit has returned with a fresh array of fitness bands that put a little heart and a lot of smart style into fitness tracking. The Charge HR fitness tracker has the slim, sleek, minimal shape, and function of the Charge. It fits right in the middle of the company’s triad of new bands. It also has an optical heart-rate sensor that can track heart rate 24/7 like its bigger and pricier brother the Surge. We know it’s not going to cause any rashes, but does this middle model make sense for most buyers? We will take a closer look at its features. In addition to the heart-rate sensor, the brains of the Charge HR brings along an altimeter, a 3-axis accelerometer, and a vibration motor for silent alarms. All this technology is neatly packed in a one-piece, 0.83 inch wide elastomer band that has been introduced in four colors: black, blue, plum and tangerine. Previously Fitbit bands had post-and-hole closures that many users found difficult to close but the new Charge HR features a traditional watch band buckle which is made of stainless steel, with a locking free loop securing the end of the strap to the band. The Charge HR comes in three sizes: small, large, and extra-large, to make the fit even more personalized. When it comes to health and fitness features, the Charge HR packs them in. It shows the time, counts steps, tracks mileage, records exercise time and intensity, calculates calories burned and, keeps track of the number of “floors” climbed using the altimeter. It also monitors sleep quality automatically. All of these metrics can be clearly viewed on the Charge HR’s blue OLED display. PurePulse, as the Fitbit calls it, is the heart-rate feature of the Charge HR. This optical heart-rate sensor is located on the back of the band and logs your pulse 24/7. It counts more accurate calorie-burn, and gives detailed feedback on exercise intensity. The Charge HR’s silent vibration alarm is programmable with up to eight different repeating alarms via Fitbit’s free smartphone app. And when you pair it with a compatible smartphone, the Charge HR can send call notifications with a quick vibration and a text scroll of the caller ID. However, it does not, do text notifications. The Fitbit smartphone app and partner Web interface make it very straight forward to view daily movement trends. The dashboard features are brightly colored and graphical representations look delightful for steps taken, miles travelled, resting heart rate and current heart rate, minutes active, calories burned, floors climbed, and hours of sleep. Food consumption, water intake and current weight can also be logged manually. When a walk, run, or hike session is logged, it uses the phone’s GPS to show traveled distance and pace, and the Charge HR’s heart-rate monitor to display the graph for time spent in the different heart-rate zones. It also shows the impact of the activity on the rest of the day. Users can also share metrics automatically or manually through Twitter and compete with friends. While Fitbit claims the Charge HR to be water resistant, users are warned in the online documentation that it should never be worn while swimming and should be taken off before showering. With Fitbit’s free app it is smooth and painless to set up the Charge HR and get it ready to use. First, you need to turn on the phone’s Bluetooth and pair it with the band by simply entering the code that appears on the band’s display. Then, you have to answer a few profile questions (height, weight, age and gender,) and the Charge HR is ready to go. It is also easy to set it up on a home computer. Download the Fitbit app (available for iOS and Android), plug the USB dongle into a USB port, and follow the onscreen instructions. The setup process now carefully commands the users to keep the Charge HR dry and clean and give their wrists intermittent breaks from wearing the band. Previous rash episodes have obviously left their mark. The company is careful and trying to make the users understand that the best way to keep the band clean is by using a “soapless cleanser” such as Aquanil or Cetaphil. In case if any redness or soreness appears on the wrist, the band should be taken off. The Charge HR works much like a digital watch. There is no stopwatch, but if you press the button on the left side of the watch it does show the time. Two quick taps on the face of the display would also do the same for you. By pressing the side button repeatedly, you can scroll through the rest of the metrics. Initially, the most disappointing Charge HR feature was the heart-rate sensor itself. Sometimes, you will realize that the heart-rate data produced by the Charge HR is simply incorrect. During sleep or when sitting nearly motionless, the results would be in line with reality. But when you check your heart rate during exercise, you find the numbers to be quite erratic. The Charge HR isn’t a piece of medical testing equipment, after all. So, perfect accuracy is asking too much. But the step tracker likely differs from the number of steps taken during a day by a factor of X, and the information on the calories burned during the day is not exact either. But “focusing on precision” means “missing the point”. The point is that we need a better understanding of our overall daily movement trends, and create better habits by tracking that movement over time. This is what actually helps us live better, healthier lives. Fitbit claims the Charge HR’s lithium-polymer battery would last up to five days on a single charge. If you keep the heart-rate sensor active continuously and regularly use the exercise logging feature, it’s more likely to be four days than five. However, you can hardly get a week. The programmable vibration alarms alone make the Charge HR band worth buying. After months of being tickled awake by a Fitbit quietly buzzing on your wrist, you will find waking up to the brain-scrambling blast of an audible alarm like an unusual punishment. And now that you can turn your smartphone ringer off and let the Charge HR vibrate to notify you to incoming calls, you will be so happy with the band that the fitness tracking (and heart-rate concerns) seems almost insignificant. 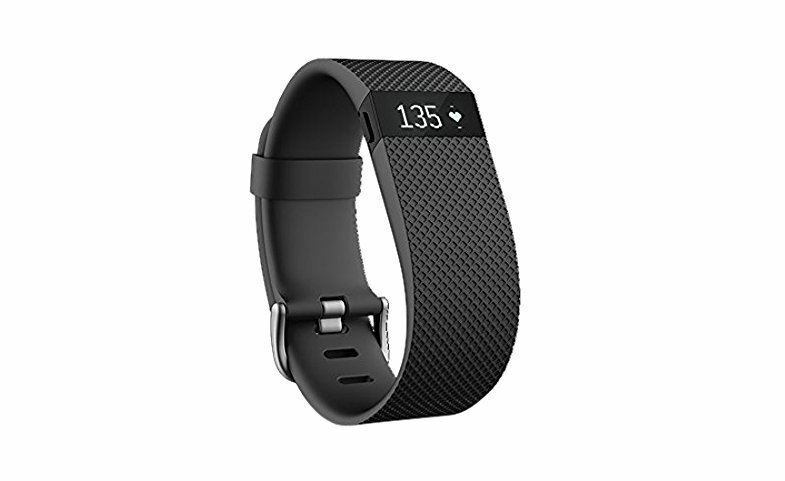 Now the big question is which Fitbit tracker (model) should be the right choice for you. If you feel heart rate is important, and you can live without GPS and text-messaging notifications, then the Charge HR is the right tracker for you. After the issues discussed above with the heart-rate sensor, we’d probably go for the basic Charge model. And those who need both call and text notifications on their band would like to try more expensive and larger Fitbit Surge.